The HBO Bryant Park Summer Film Festival, Now with Pepsi and presented with Ralph Lauren returns to the park on Mondays beginning June 18. As always, the schedule is a highly anticipated announcement in our summer lineup. But don't worry, the wait is almost over. We will announce the full 2012 film schedule on Monday morning right here on the blog. Be sure to check back for a chance to win one of several prize packages that include reserved seats at the film of your choice. Last year's prizes also included DVD sets from HBO's critically acclaimed shows. 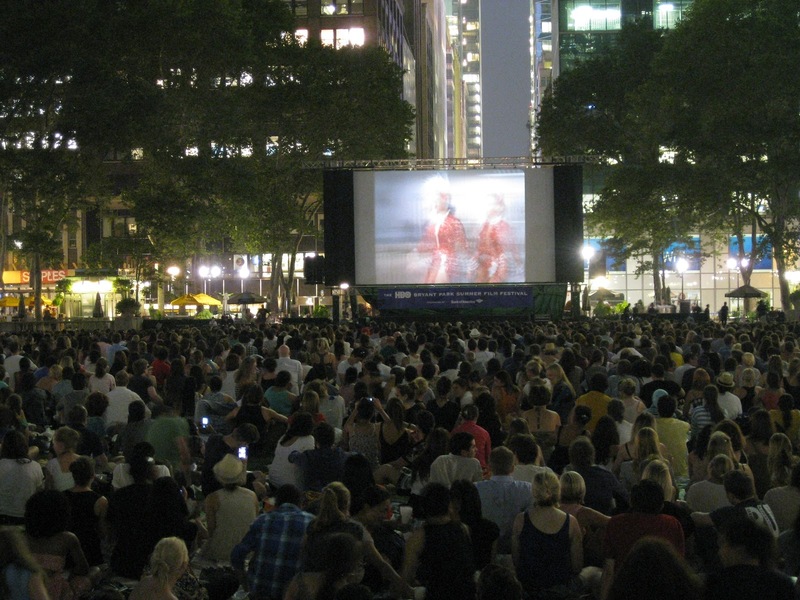 Prepare to set your calendars for Monday movies in Bryant Park! Boo, I hate how this event shuts the lawn down for days at a time. More quiet use of the lawn, please, and fewer corporate events for the yuppies and tourists. Bryant Park's lawn is the only large public green space in the area, but for 40% of the weekdays, it is roped off because of this movie. Hi Khurasan Miniatures, As for lawn closed days - you're right. In order to hold the Film Festival and keep the lawn healthy, we have to give the grass time to rest before and after Monday night's heavy use. At this time, the film fest is a priority for us, and though we want the lawn to be open more, we are committed to making it a success. You should know that we are mindful that the lawn could be open more days, and we are always open to new suggestions for grass that might be more durable while maintaining a natural feel.